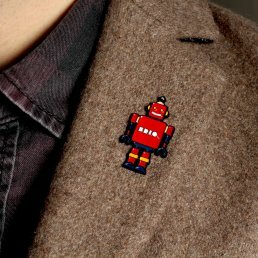 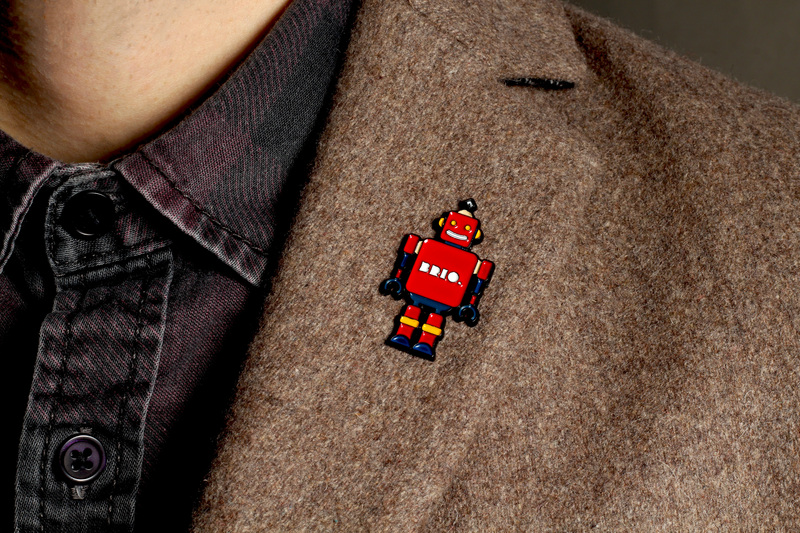 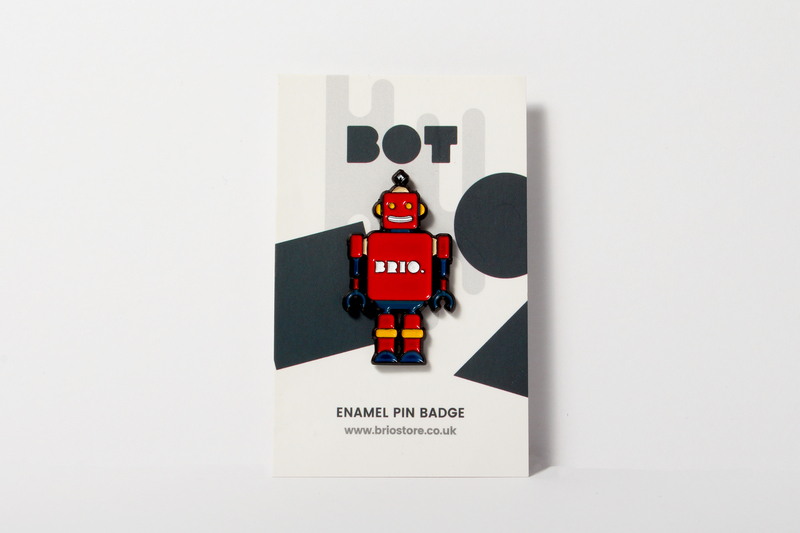 Adorn your coat/bag/pencil case or other with this cute little robot pin badge. 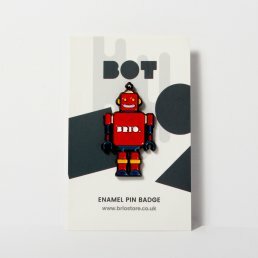 This unique collectable soft enamel pin has been made with love and care in the UK. 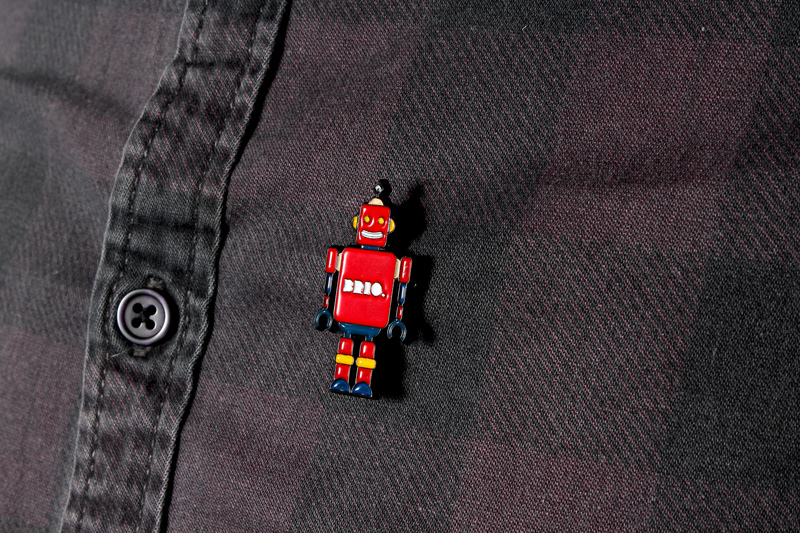 A soft enamel & black nickel pin badge with a rubber softer clasp on reverse. 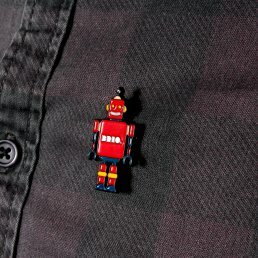 The enamel pin comes presented on a backing card.